When you land in Brussels, you’ll soon find that Belgium’s famous beer and fries are just two small ingredients that make up the cultural hotpot of its capital. Throw in a wealth of architectural treasures, seasonal festivals, and indulgent cuisine – we’re talking macaroons, waffles, and exquisite chocolates – and it’s the recipe for the perfect city break. And when it’s time to leave the capital, the quaint delights of Belgium’s pretty villages lie just a train-ride away. 1/4 Renowned for its eclectic architectural styles and quirky landmarks, Brussels is a city made for wandering. The opulent Grande Place is the city’s iconic central square, while curiously, the most famous attraction is the ‘Mannekin Pis’ – a fountain in the shape of a urinating boy. 2/4 Save some room in your suitcase, because Brussels affords fashionistas some unique shopping opportunities. The city’s fashion cachet was jump-started by the ‘Antwerp Six’ designers who attended the neighbouring city’s prestigious fashion school. 3/4 Bouts of sightseeing should be interspersed with numerous café visits to sample local delicacies, which include light and sweet waffles, moules-frites, and of course, chocolate. 4/4 Several destinations across Belgium make for easy day trips from Brussels, including the medieval town of Bruges, where languid canal rides, hot chocolates, and log fire dozing are the order of the day. 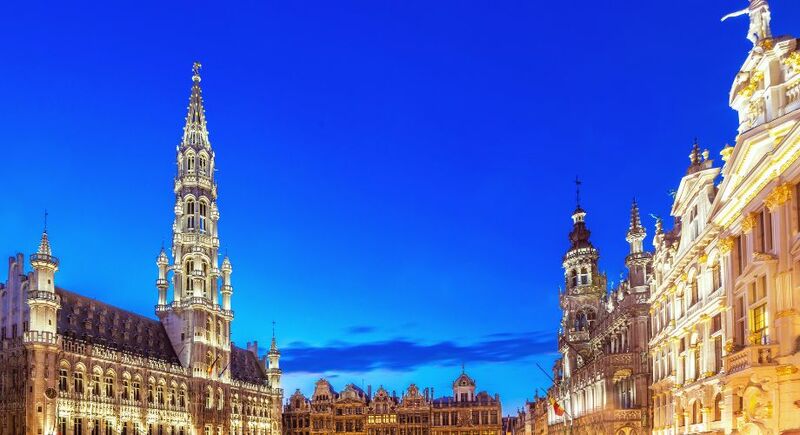 Renowned for its eclectic architectural styles and quirky landmarks, Brussels is a city made for wandering. The opulent Grande Place is the city’s iconic central square, while curiously, the most famous attraction is the ‘Mannekin Pis’ – a fountain in the shape of a urinating boy. Save some room in your suitcase, because Brussels affords fashionistas some unique shopping opportunities. The city’s fashion cachet was jump-started by the ‘Antwerp Six’ designers who attended the neighbouring city’s prestigious fashion school. 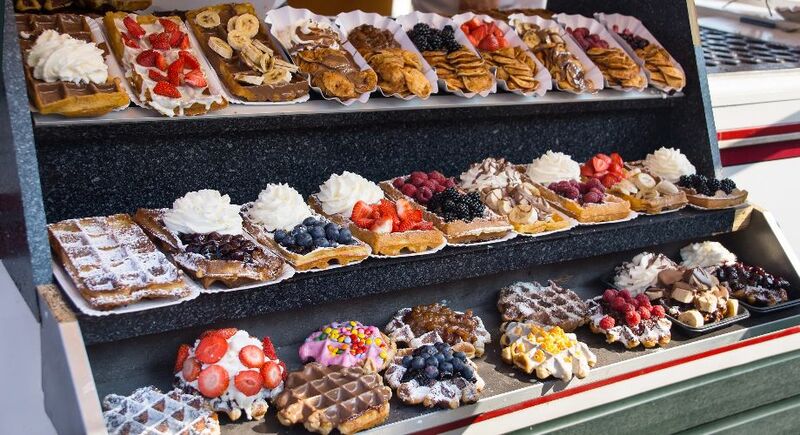 Bouts of sightseeing should be interspersed with numerous café visits to sample local delicacies, which include light and sweet waffles, moules-frites, and of course, chocolate. Several destinations across Belgium make for easy day trips from Brussels, including the medieval town of Bruges, where languid canal rides, hot chocolates, and log fire dozing are the order of the day. It was from the Belgian town of Spa in Belgium’s wooded Ardennes region that all other spas took their name. 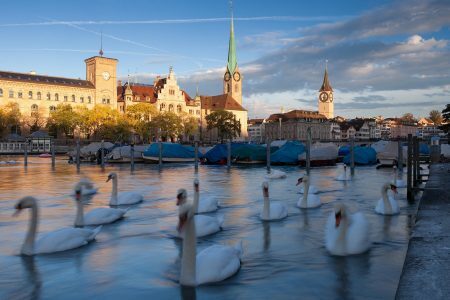 The town has been known for its mineral-rich thermal waters since Roman times, reaching its height of eminence in the 18th century when it was frequented by European royals. Today, it takes just under a two-and-a-half-hour train journey from Brussels to reach Spa, where the stylish but accessible Les Thermes de Spa complex is a popular destination for anyone seeking rest and relaxation. For those with more energy to expend, Spa is also Belgium’s premier winter sports centre while the Ardennes region more generally is renowned for its hiking and walking trails. For a country with just 70 kilometres of coastline, it might a little seem surprising that mussels are something of a Belgian national dish. Head to Rue des Bouchers, the “belly of Brussels”, and try moules marinières – mussels cooked in cream and white wine – or taste the rustic goodness of tomato and garlic moules à la provençale. Lined with a myriad of restaurants sporting colourful seafood displays and plenty of neon signage, this cobblestone street is worthy of a wander in and of itself. Most of the restaurants on the street don’t enjoy a great reputation, so avoid being tempted by the touts jostling for custom and instead head directly to celebrated Belgian mussel chain, Chez Leon. The menu covers all manner of mussel variations, as well as an array of traditional Belgian plates. For a country of its stature, Belgium packs in rather a large amount of amusement parks. There are many to choose from, but Walibi Belgium and Mini-Europe are two of the best places to start. Walibi Belgium is arguably the country’s most famous amusement park and lies 24 kilometres south-east of Brussels. It’s a full day out with thrilling rollercoasters, gentler rides for younger children, live shows and plenty of eateries. Right beside it is Aqualibi, a large indoor waterpark offering a complex of pools, tubes, cascades, Jacuzzis and hot baths. Mini-Europe on the other hand, takes visitors through the whole of the European continent in just a few hours. Amongst its perfectly crafted 350 miniature settings, visitors can see faithful reproductions of important sights such as the canals of Venice, London’s Big Ben and the Berlin Wall. Known the world over, Belgian beers come in an overwhelming diversity of styles and strengths. The vast Delirium Taphouse, found on Impasse de la Fidélité, is a great place to begin finding a favourite brew. Leaf through a phonebook-sized catalogue of more than 3,000 different beers and start by picking out a cherry flavoured Kriek. Then move on to a more adventurous glass of Bush with 12% alcohol content. Don’t leave without sampling a Trappist beer such as Rochefort, Orval, La Trappe or Westmalle, brewed to this day by monks in monasteries. On exiting, walk to the end of the small side street opposite Delirium to see the Jeanneke Pis, the female counterpart to the Manneken Pis. Just off the stunning Galeries St. Hubert, meanwhile, the charmingly old À La Mort Subite is another atmospheric bar in which to sample Belgium’s best beers. Less known and thus mercifully less crowded in high season than Bruges, charming Ghent is only 30 minutes by train from Brussels. Its medieval canal-side architecture, quirky bars and cafes and fascinating museums mean that there’s more than enough to occupy day trippers from the capital. Must-sees include the medieval Gravensteen Castle, the famous altarpiece by Jan van Eyck in St. Bavo’s Cathedral and the 700-year-old Belfort. On a fine day, a walk by the river Leie which runs alongside the city’s ancient buildings is hard to beat, but can be bested by renting a boat and seeing the town from the perspective of the water with a cruise down the river itself. After the Manneken Pis (found at the corner between the Rue de l’Étuv and the Rue du Chêne), the Atomium is Brussels’s next most recognised landmark. Constructed for the 1958 World’s Fair, the 121-metre structure is modelled on an iron atom, with nine spheres connected by escalators and internal staircases. Most of the spheres contain a mixture of permanent exhibitions charting the history of the Atomium itself and the 1958 World Fair that occasioned its construction, and temporary displays of Belgium architecture and modern art. The very top sphere houses a restaurant offering fine dining and spectacular views. The Atomium is located just outside of Brussel’s city centre, near the Heysel metro stop. 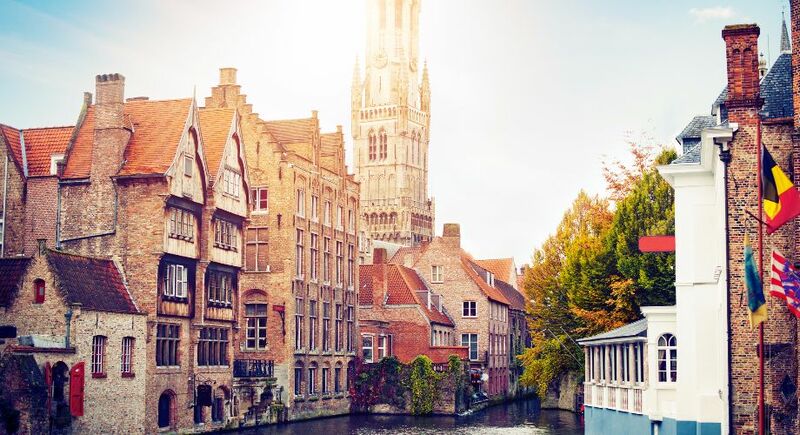 Just a quick skip and a hop from Brussels, Bruges is a fairytale medieval town of cobbled lanes, tranquil canals, photogenic market squares, and historic towers. 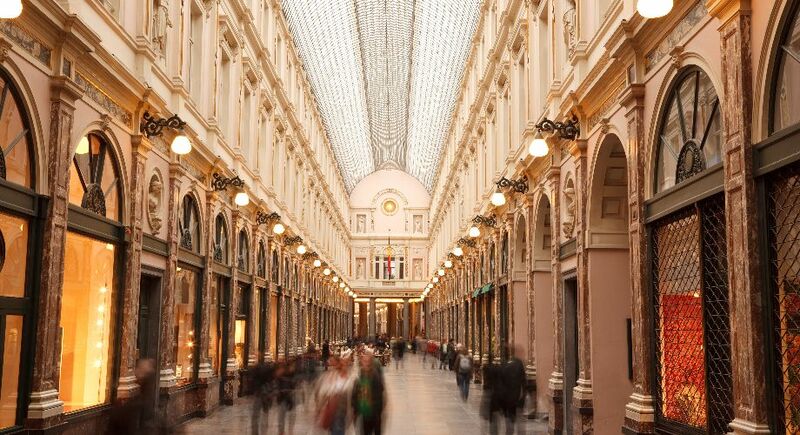 Under an hour away by train, it’s probably the most popular day trip destination from Brussels. And with the whole town designated as a UNESCO World Heritage Site, it’s not hard to see why. Bruges is small enough to be fully discovered on foot and the first port of call on any itinerary must be the belfry in the main square which offers panoramic views from the top of its 366-step tower. There’s also the Groeningemuseum and its outstanding collection of 15th century Flemish Primitive paintings to explore. Bruges is particularly pretty in winter when Christmas markets, twinkling lights and an ice rink give it a magically festive feel, but it’s equally charming at other times of the year framed by autumn leaves or verdant greenery. 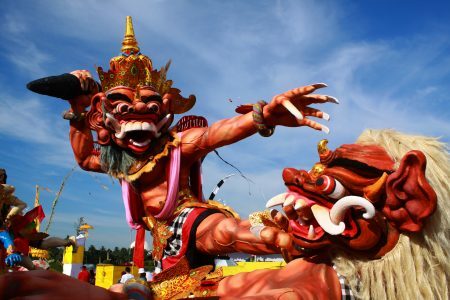 Belgium has played an important role in global history, with more than one world-changing battle acted out on its soil. It was five kilometres to the south of the little town of Waterloo, itself just 14 kilometres from Brussels, that the Emperor Napoleon was finally defeated in 1815. Visitors to the site today will find a welcome centre, interpretive exhibitions and an arresting artificial memorial mound called the Butte du Lion. Perhaps Belgium’s most famous war site can be found at the town of Ypres which saw destruction and loss on an epic scale during the First World War. Tour the battlefields and military cemeteries before visiting the immersive In-Flanders Fields museum. Thanks to its network of small trails, hunting paths and former railroad tracks that have been given over for recreation, the Belgian province of Namur is a firm favourite amongst cyclists, walkers, skaters, horse riders and general outdoor enthusiasts. Throughout the summer, the province organises a cycling festival known as ‘RAVeL des BBQ’ that takes participants through stunningly scenic routes with stops at local restaurants for sustenance along the way. Namur is just under an hour from Brussels by train and notable sights of interest include the Maredsous Abbey, Citadel of Namur and the Caves of Han.